I went Monday to the Gynecologist and they wanted me to come back to have an ultrasound to get an idea how my uterus and ovaries were doing. 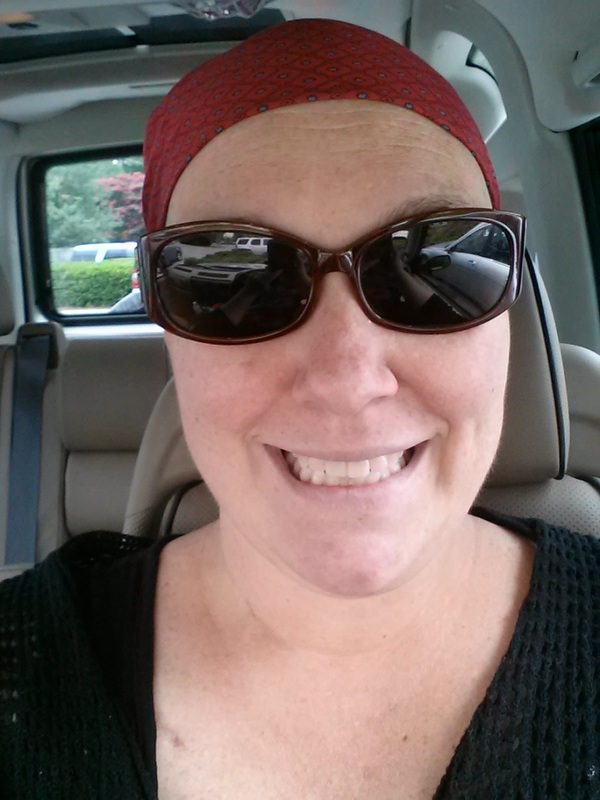 Seems cancer was going to get me poked, prodded, and scanned in all places! So, back for another appointment and an ultrasound to check out my lady parts. The first abdominal exam required a full bladder, so I had been downing more water than normal. However, all that water required more pee urges. And the exam required a full bladder without urinating first. I was basically walking into the office with my legs crossed! After downing water and having 2 kids, I just hoped that I refrained from peeing myself! They got a good view of my uterus... which looked as it should. A few small calcifications, but nothing really to worry about. Overall, it was thinner which was actually a good thing. It means that I had less estrogen due to the chemotherapy. And estrogen and progesterone fed my cancer - so that was good news. I got a break to pee... ah, relief!!! 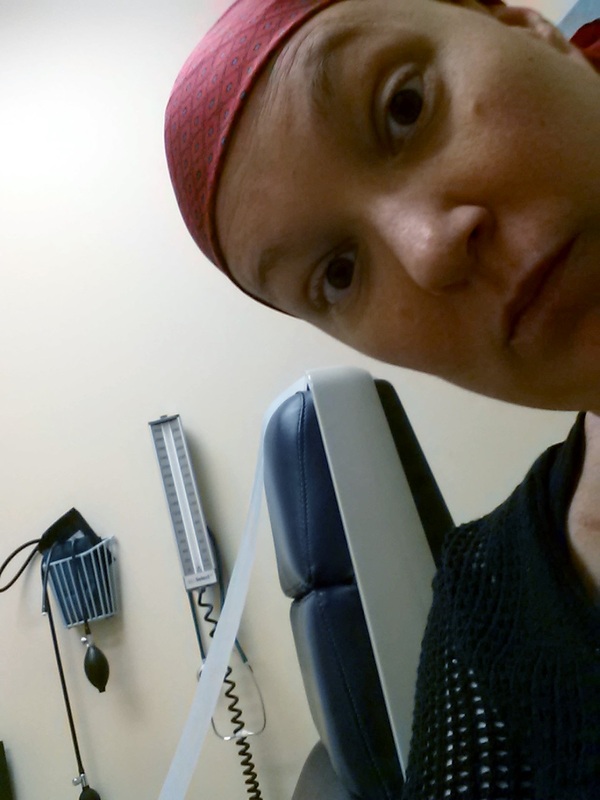 Then I got the more invasive pelvic exam... me, the tech, & her magic wand. You want me to sit there & what?!?! Ok? It was not bad... I have had these before. Minor pressure from time to time, but usually just awkward. After taking another peek at my uterus, they went further up to my ovaries. The poor shrunken raisin-like ovaries. Seems the chemo has done its job... they appear non-functioning. They looked small and egg-less. But the good news, it does not appear that any cancer has yet taken my lower region!! However, the chemotherapy has caused the pruning of my ovaries and it appears that I have been officially driven into menopause. I pretty much assumed that it had happened since I had been warned it would. Unfortunately, because I am so young they do not know if I will go back to being fertile and then back into menopause later. For the sake of my sanity I hope I adjust and remain in the hormone-less state. Curious about menopause then, click here. Meanopause… I mean menopause has been the least of my issues. Overall, the transition has been pretty easy. A few hot flashes here and there... removing my cap seems to release the heat from my head. Being bald has some benefits. A few sweaty nights... flipping the pillow helps. There were only a few moments of uncontrollable moods... just get them out and later blame cancer! For the younger ladies still wanting kids, do not forget to go the Ob/Gyn prior to treatment... because menopause can be permanent. Guys get issues too - so talk to your doctor too. For someone still considering kids, it is good to get your options to manage and preserving fertility, to learn more, click here. On another note it is extremely important not to get pregnant during cancer treatment (and for awhile after). If you are younger (like me) you still have to know your options because you never know. I have hormone receptor positive cancer - so, I can not have any estrogen and progesterone ever again... yay! My options are pretty limited... copper IUD, hysterectomy, or hubby can have vasectomy. At least there are options! 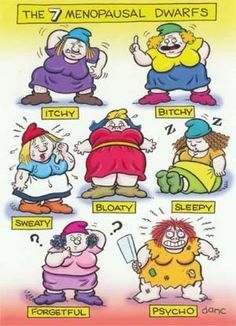 Like I have said about my menopause... I may not know I am crazy, but he will know I am! It was such a quick transition into menopause and I had so many other chemotherapy issues, I really did not notice the change. I was fortunate not to have some long term symptoms and issues that many women have to going through before menopause. So in a lot of ways, another bonus! Overall, good news. Seems my nether regions are clear of tumors and I now have a good basis to monitor from.